The Dokuzentrum in Nuremberg is a historical museum about the Nazi regime in Nuremberg. If I was a historian, I'd really enjoyed reading the exhibition. Well, I am not. 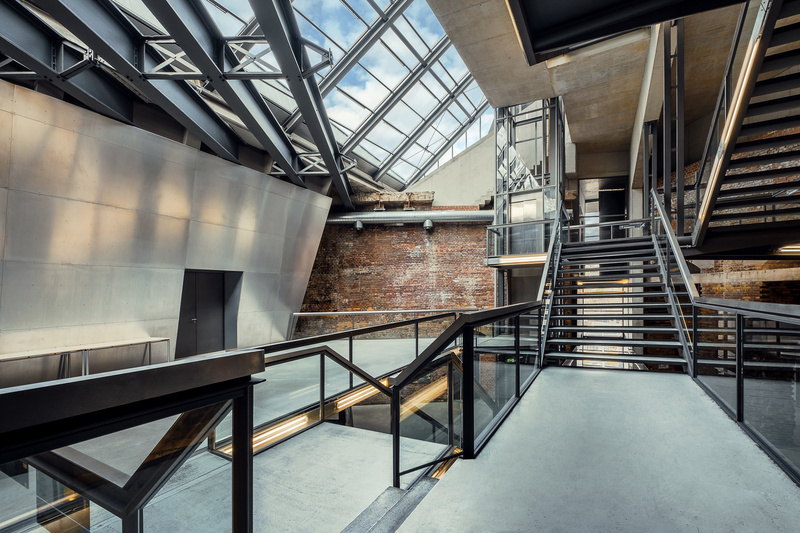 Still, I spend a good time there, capturing the interesting mix of architectural elements: Concrete floors, metal staircases, glass walls embedded into the original historical hall made of brick.